Seminary Grads in Deep Debt, Jesus’ wife theory revisited, Noah Movie Banned, Blood Moons rising, Westboro gets run out of Oklahoma, and Jesus of Nazareth vs. Pontius Pilot for the heavyweight championship of Jerusalem, this week on RGR. A new study finds that Seminary Graduates are in Record high debt. 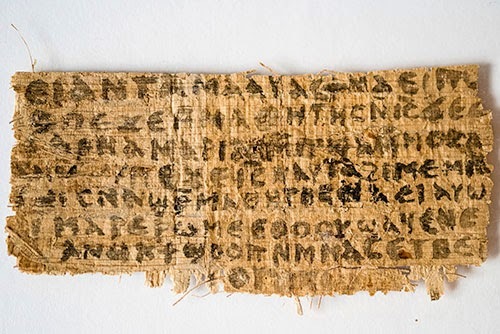 Scientists Claim Controversial ‘Gospel of Jesus’s Wife’ Papyrus Fragment is Likely Authentic and not a fake. Noah Movie has been banned in many Muslim Countries with Indonesia and Malaysia following suit to block the film. The eagerly awaited “Blood Moon” will finally make its appearance on April 15, during the Jewish Passover. Westboro Baptist Church was Chased Out of anOklahoma Town by an Angry Crowd.